The MUIC Student Association (MUICSA), the College’s student organization, consists of 24 members. They meet weekly in order to oversee the schedule of student activities, supervise the funding of student clubs and address a wide range of student needs. To provide a voice for students and contribute to finding creative solutions for student concerns. 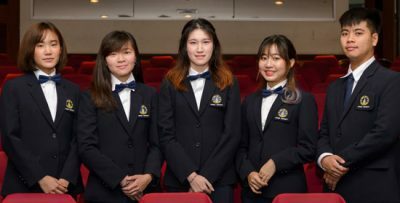 The MUIC Student Association also collaborates with the elected representatives from each of the four classes which are responsible for special annual events. The freshmen class organizes the Thank P’ Party, the sophomore class is responsible for the Welcome Unity Camp and Freshy Game, while the junior class is responsible for Prom night. Elections for the MUIC Student Association leadership team are held each year at the end of Trimester 3. The MUICSA office is located on the second floor of Building 2, Room 2212.